Hunterdon County, NJ is a major part of NJroute22.com. 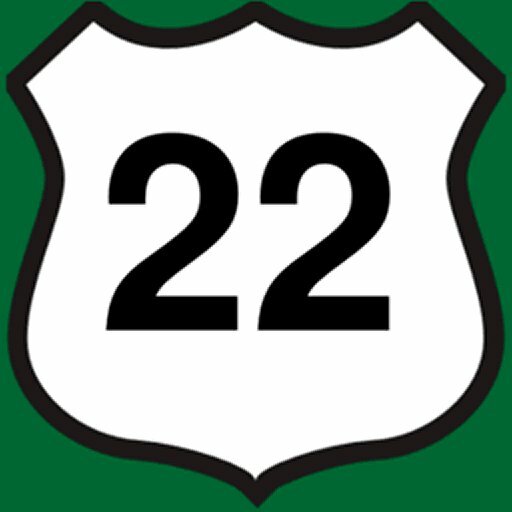 Covering substantial stretches of both the NJ Route 22 Central and NJ Route 22 West zones – this county is one of the best in NJ. It’s also in the top 20 richest counties in the United States. Hunterdon County is a county located in the western section of the U.S. state of New Jersey. As of the 2010 United States Census, the population was 128,349, increasing by 6,360 (+5.2%) from the 121,989 counted in the 2000 Census, retaining its position as the state’s 14th-most populous county; The percentage increase since 2000 was the largest in New Jersey, almost triple the statewide increase of 4.5%, and the absolute increase in residents was the third highest. It is part of the New York Metropolitan Area. Its county seat is Flemington. The Bureau of Economic Analysis ranked the county as having the 19th-highest per capita income of all 3,113 counties in the United States (and the third highest in New Jersey) as of 2009.It is part of the Newark-Union, NJ-PA Metropolitan Division of the New York-Northern New Jersey-Long Island, NY-NJ-PA Metropolitan Statistical Area. Hunterdon County was established on March 11, 1714, separating from Burlington County, at which time it included all of present-day Morris, Sussex, and Warren counties. The rolling hills and rich soils which produce bountiful agricultural crops drew Native American tribes and then Europeans to the area. Around 500 million years ago, a chain of volcanic islands shaped like an arch collided with proto North America and rode over the top of the North American plate. The rock from the islands created the highlands of Hunterdon County as there was a shallow sea where Hunterdon County is now located. Then around four hundred million B.C., a small continent that was long and thin, collided with proto North America. This collision created compression, which caused heat. The Paleozoic sediment of shale and sandstone folded and faulted. The heat allowed the igneous rock to bend, thus Hunterdon County was born. The African plate which later collided with North America created more folding and faulting, especially in the southern Appalachians. Then the African and North America plates tore and drifted away from each other. The Wisconsin glacier that entered into New Jersey around 21,000 BC and then melted around 13,000 BC, did not reach Hunterdon County. However, there are glacial outwash deposits from streams and rivers that flowed from the glacier southward depositing rock and sediment. Hunterdon County has two geophysical provinces. The first is the Highlands which is the western section of the county. The other is the Piedmont which is the eastern and southern section of the county. The Highlands account for one-third of the area and the Piedmont accounts for two-thirds of the county. The bridge over the South Branch of the Raritan River in Califon. Paleo Indians moved into Hunterdon County between 12,000 BC and 11,000 BC. The area was warming due to climate change. The Wisconsin Glacier in Warren and Sussex County was retreating northward. The area was that of Taiga/Boreal forests. Paleo Indians traveled in small groups in search of game and edible plants. They used spears made of bone, Jasper or black chert. Their campsites are difficult to find as they are many feet below the present surface. Native Americans moved into the area but the time they arrived is unknown. Most have come from the Mississippi River area. Many tribes of the Delaware Nation lived in Hunterdon County especially along the Delaware River and in the Flemington area. These tribes were agriculture in nature, growing corn, beans, and squash. Those that lived along the South Branch of the Raritan River fished and farmed. There was a Native American trail that went along the South Branch of the Raritan River (Philhower 1924). Land purchases from Native Americans occurred from 1688 to 1758. Large land purchases from Native Americans occurred in 1703, 1709 and 1710. Over 150,000 acres (610 km) were bought with metal knives and pots, clothing, blankets, barrels of rum or hard cider, guns, powder, and shot. This allowed for European settlers to enter into Hunterdon County in the early 18th century. After 1760 nearly all Native Americans left New Jersey and relocated to eastern Canada or the Mississippi River area. Hunterdon County was separated from Burlington County on March 11, 1714. At that time Hunterdon County was large, going from Assunpink Creek near Trenton to the New York State line which at that time was about 10 miles (16 km) north of Port Jervis, New York. Hunterdon County was named for Robert Hunter, a colonial governor of New Jersey. Language changes over time and location, so by stemming of [s], and a [t] → [d] lenition of the name of his family seat of “Hunterston” in Ayrshire, Scotland, the name “Hunterdon” was derived. On March 15, 1739, Morris County (which at the time included what would later become Sussex County and Warren County) was separated from Hunterdon County. The boundary between Hunterdon and Somerset counties is evidence of the old Keith Line which separated the provinces of West Jersey and East Jersey. Transitioning from rural to suburban, Hunterdon County is an exurb on the western edge of New Jersey and home to commuters to New York City and Philadelphia. The county seat, Flemington, is noted as the site of the Lindbergh kidnapping trial which convicted Bruno Hauptmann of the murder of aviator Charles Lindbergh‘s son. With growing towns and shopping areas, as well as relaxing rural areas, Hunterdon County is a far stretch from the urban areas stereotypically associated with New Jersey. According to the 2010 Census, the county had a total area of 437.44 square miles (1,133.0 km), including 427.82 square miles (1,108.0 km) of land (97.8%) and 9.62 square miles (24.9 km) of water (2.2%). Much of the county is hilly, with several hills rising to one thousand foot in elevation. The highest points are two areas in Lebanon Township, one on the Morris County line, both reaching approximately 1,060 feet (320 m) above sea level. The first is at Smith on the Morris County line and the second is north of the area called Little Brook. This area is known as the Highlands of New Jersey. The lowest elevation is where the Mercer County line reaches the Delaware River, approximately 50 feet (15 m) above sea level. The county is drained by the Musconetcong River in the north. The river flows in a southwest direction. The Lamington River drains the county in the east. The central portion of the county is drained by the South Branch of the Raritan River. The Delaware River drains the western side of the county. Hunterdon County is considered the premier place to hunt white-tailed deer in New Jersey. More deer are harvested each year than any other county according to New Jersey Fish and Game records. There is also Round Valley Reservoir and Spruce Run Reservoir. Both are manmade reservoirs that provide boating and fishing opportunities for patrons. Round Valley is one of New Jersey’s trophy trout lakes, the reservoir holds the state records for smallmouth bass, brown trout, lake trout, and American eel. Spruce Run held the state record for Northern Pike for nearly 30 years and offers a large variety of species for anglers to pursue. New Jersey Fish and Game have also many Wildlife Management Areas for hunting ducks, deer, pheasants, quail, rabbits, squirrels and bears. Hunterdon County ranked as the 7th among the highest-income counties in the United States with a per capita income of $36,370. It ranks fourth among U.S. counties for household income according to the most recent data from the U.S. Census Bureau. Hunterdon County’s median household income was $99,099, behind only Loudoun County, Fairfax County, and Arlington County, Virginia. As of 2005, Hunterdon had the third-highest median property tax of any county in the nation at $6,988, the highest in New Jersey. As of the Tax Foundation‘s rankings based on 2006 data, Hunterdon had taken the top spot for highest median property tax at $7,999. As of 2011, Hunterdon still had the nation’s highest taxes, with a median of $8,216. Certain municipalities, such as Clinton and Union Township, have prisons within their borders, so their racial demographics will be slightly skewed when compared with the rest of the county. At the 2010 United States Census, there were 128,349 people, 47,169 households, and 34,339 families residing in the county. The population density was 300 per square mile (120/km). There were 49,487 housing units at an average density of 115.7 per square mile (44.7/km). The racial makeup of the county was 91.36% (117,264) White, 2.69% (3,451) Black or African American, 0.13% (167) Native American, 3.26% (4,181) Asian, 0.03% (37) Pacific Islander, 1.22% (1,570) from other races, and 1.31% (1,679) from two or more races. Hispanics or Latinos of any race were 5.24% (6,722) of the population. There were 47,169 households, of which 33.4% had children under the age of 18 living with them, 62.8% were married couples living together, 7% had a female householder with no husband present, and 27.2% were non-families. 22% of all households were made up of individuals, and 8.2% had someone living alone who was 65 years of age or older. The average household size was 2.62 and the average family size was 3.1. In the county, 23.5% of the population were under the age of 18, 6.9% from 18 to 24, 22.2% from 25 to 44, 34.6% from 45 to 64, and 12.7% who were 65 years of age or older. The median age was 43.5 years. For every 100 females there were 99.8 males. For every 100 females age 18 and over, there were 98.1 males. As of May 2010, the county had a total of 1,412.33 miles (2,272.92 km) of roadways, of which 1,059.23 miles (1,704.67 km) were maintained by the local municipality, 237.73 miles (382.59 km) by Hunterdon County and 114.79 miles (184.74 km) by the New Jersey Department of Transportation and 0.58 miles (0.93 km) by the Delaware River Joint Toll Bridge Commission. Rail service to the northern part of the county from Newark Penn Station is provided to High Bridge, Annandale, Lebanon and Whitehouse Station by New Jersey Transit‘s Raritan Valley Line. In addition, The Link operates demand-response service across the county, as well as fixed-route service in Flemington. Trans-Bridge Lines also provides service to New York City, as well as several towns/cities west in Pennsylvania. Daryl Cobb (born 1961), children’s book author. Liver-Eating Johnson (c. 1824-1900), mountain man of the American West, on whom the film Jeremiah Johnson is based.